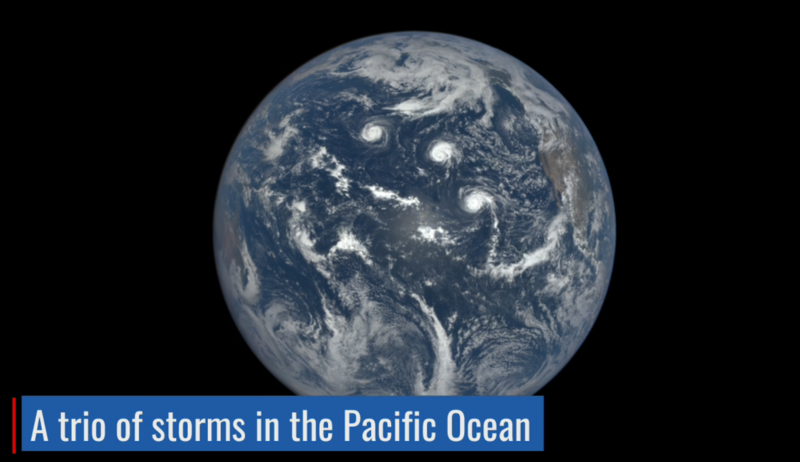 Whether it's storms in the Pacific Ocean or a solar eclipse, this video will show you the Earth as you’ve never seen it before. Recently released by NASA , the clip is made up of over 3,000 still images, all taken from a million miles away by the Earth Polychromatic Imaging Camera (EPIC) aboard a deep-space satellite. The satellite, called DSCOVR, is located in a unique, gravity-neutral point in space, which means it can hover between the Earth and the sun, allowing it to maintain a constant view of the sunlit side of our planet. What stands out most clearly are features such as deserts, forests and the world’s coastlines, along with swirling global cloud patterns. More importantly, EPIC enables scientists to measure cloud height, vegetation properties and how much ultraviolet light is being reflected. It can even monitor ozone and aerosol levels in the atmosphere. 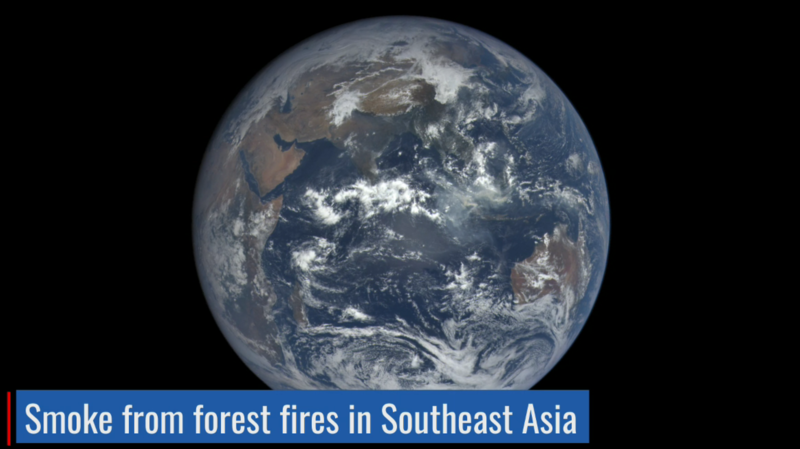 Remarkable moments over the space of a year include three storms raging in the Pacific, smoke from forest fires in South-East Asia, and the change in the Earth’s tilt as the seasons change. Perhaps the most extraordinary event was a solar eclipse, which took place in March 2016. Here you can see the shadow of the moon as it moves across the globe.